Freida was home sick a few weeks ago, as seems to be our family's summer tradition - an impromptu sick week in the middle of July. Hudi was sniffly and teeth-y, and Freida was coughing and sneezing. So along with amped-up doses of Vitamin C, meticulously hidden shots of liquid Echinacea, and a pocket-full of Ricola throat drops, came the UPS man with our favorite monthly delivery: PJ Library books! And as fate would have it, one of my favorite library books landed with a thump on our doorstep. 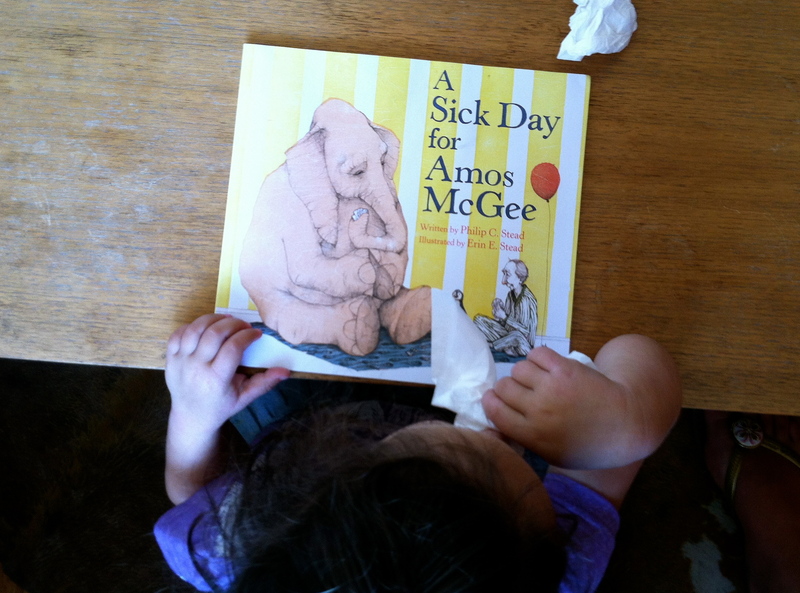 I don't quite know why I have long adored A Sick Day for Amos McGee, by Philip C. Stead and Erin E. Stead. Maybe because I love cute little old men, or because the illustrations are so quirky, or because the writer and illustrator are married (how sweet?). It's a beautiful book, with a really kind and simple message, and apparently I'm not the only one who loves it; this book won the 2011 Caldecott Medal. 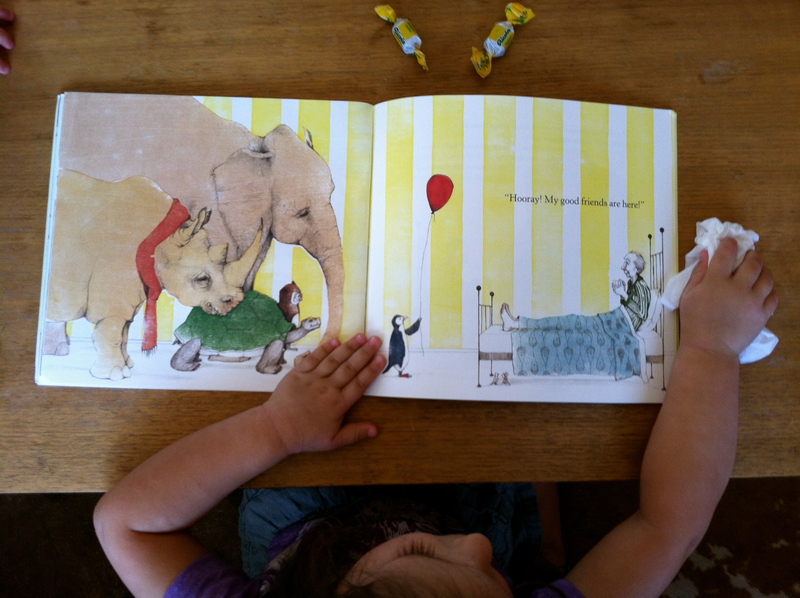 AND it's the first book Erin Stead has illustrated! Can you imagine? 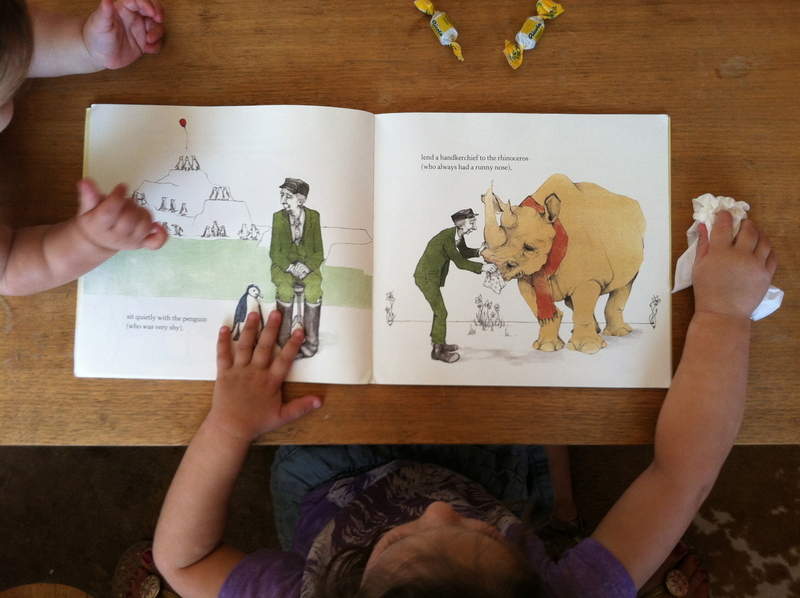 The Caldecott on her very first book?? Nice. 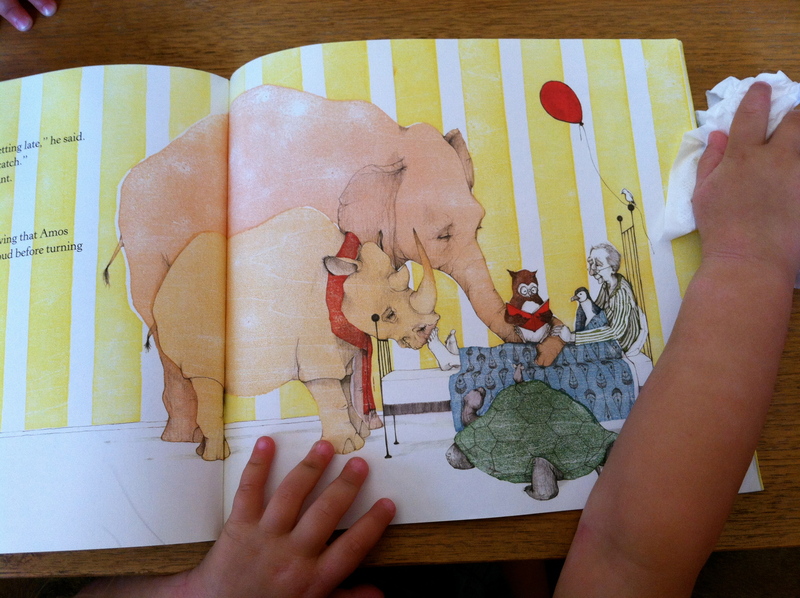 The book tells the story of a friendly zookeeper who spends his day taking care of various animals. He plays chess with the elephant, and runs races with the tortoise. But one morning he wakes with the sniffles and the chills and can't go into work. So his friends decide to come check in on him. They wait for the bus and ride over to Amos' home, and take care of him for a change. It's the simplest story of visiting the sick, and is told in the sweetest most unique way. If you aren't already part of the PJ Library community, getting signed up is a piece of cake! You can join in here, for a free subscription to monthly Jewish(ish) books for all your kids!